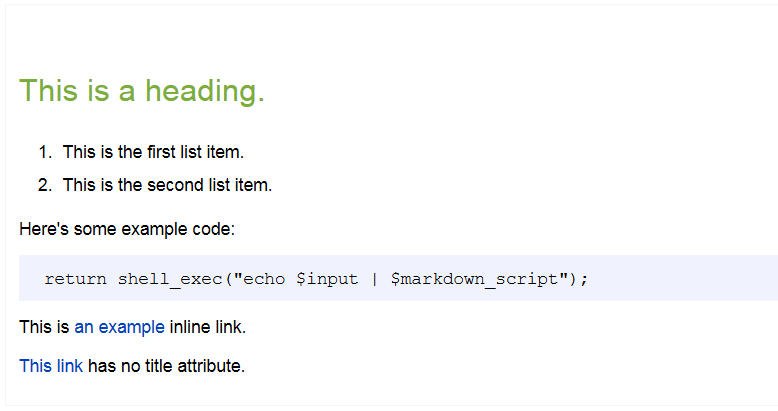 How to insert text with Markdown syntax. Tip. Try to use wiki markup instead of Markdown as much as you can. Markdown support in Wiki is limited to the basic layout formatting elements. ## This is a heading.